Home »Posts Tagged "Travel Plan"
Revision lesson for travel agents and the people in tourism industry. 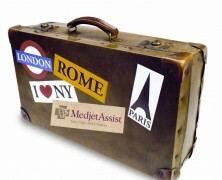 Do you remember how things circulate throughout the travel planning cycle? 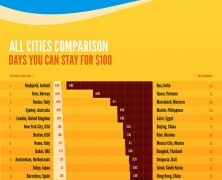 See how long can last your travel experience for $100 in various cities around the world. You’ll be amazed by the comparisons showing the flux of money value. A fantastic interactive infographic from the “Google think” entity that illustrates the modern travelling habits as a 5 step process strongly backed by online media activity.